EO is a high-tech food machinery company with ISO9001 Quality Management System, specializing in production of dumpling, baozi, noodle, candy, biscuit machine or production line for different industrial applications. 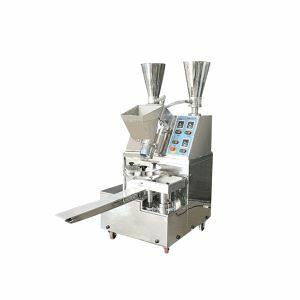 It has been ranked at the top in advanced technology, quantity and quality among all Asian Pacific food machine producers. Since its establishment in 2003, EO has improved the production capacity triple with more than 900 employees on site to satisfy the growing demands for our products. Excellent R&D department and experienced sales team support the fast growth of the company. Our products are being used in the fields of staple food, candy, biscuit, coated cake and so on. Our customers from Europe, North & South America, Africa and Middle East have established stable and long-term cooperation with us in the past 13 years. We value Customer Experience, Environment Protection, and Labor Safety with the highest priorities and commit ourselves to improve the product quality and customer service standards in order to serve our customers better.